You have probably known or subconsciously suspected that men and women shop differently. That is because men and women perceive the world through different lenses. Besides, their action motives are usually not the same, either. With Valentine’s Day just around the corner, here are some last-minute tips on how to target your female and male customers with higher precision and greater success. In a study titled “Men Buy, Women Shop”, researchers from Wharton University of Pennsylvania and the Verde Group have discovered some main difference in how men and women shop. Women account for over $20 trillion in worldwide spending. All in all, they just shop more then men and are more shopping-savvy. They say “men are hunters, women are gatherers”. While women scan stores, men usually look for the target. That said, women normally take longer to make a purchase. They would thoroughly research your catalog, compare the prices, look at your discounts and likely… navigate elsewhere to make sure they have found the best deal. They are also susceptible to emotional appeal. Every one in ten women is a so-called “super shopper”, a person willing to try new things and renew her wardrobe, gadget collection, etc. Plus, about 30% of women are so-called “social catalysts”. The last thing they want is be considered uncool or outdated, and it’s important to keep this in mind while crafting your message for them. Generally, men prefer to spend as little time shopping as possible. Well-structured and clear navigation and fast checkout (that includes their preferred payment method) is generally appreciated. Men may be unaffected by your emotional marketing pitch or the discount offer. As long as something points to the item they are looking for, that is enough. They also generally care little about the color of the product. Men are less likely then women to navigate to another website and more likely to settle for a far-from-perfect product just to complete the shopping task as soon as possible. They also tend to be in a rush and shop last-minute. Of course, there is an exception from every rule. In recent years, younger men have been displaying more of the feminine shopping style, which may be linked to the changes taking place in gender behavior stereotypes. 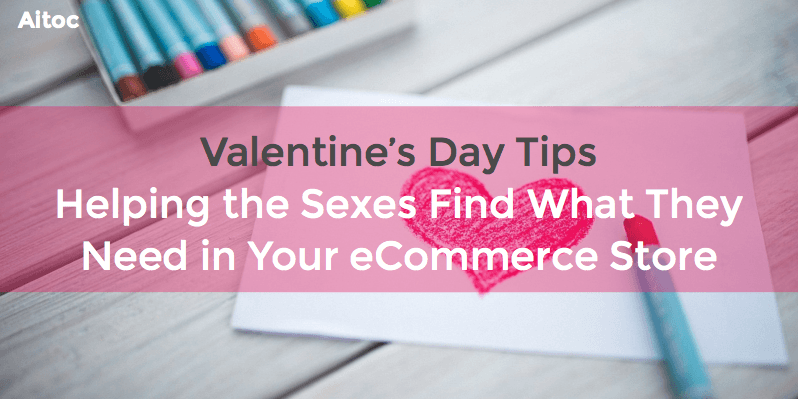 Still, for what it is worth, here are our tips on increasing sales and conversions this Valentine’s Day by catering specifically to female or male shoppers. 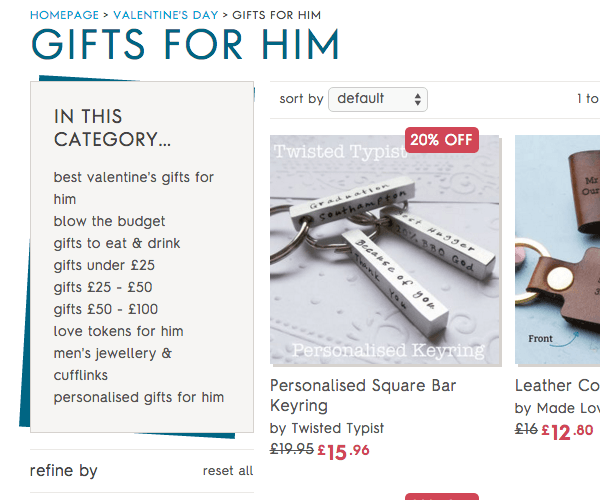 You are likely to have a separate “For Him” category that features Valentine’s Day presents for women to pick from. Here are some recommendations for this section. There is a category of women for who pursue bargains in particular. 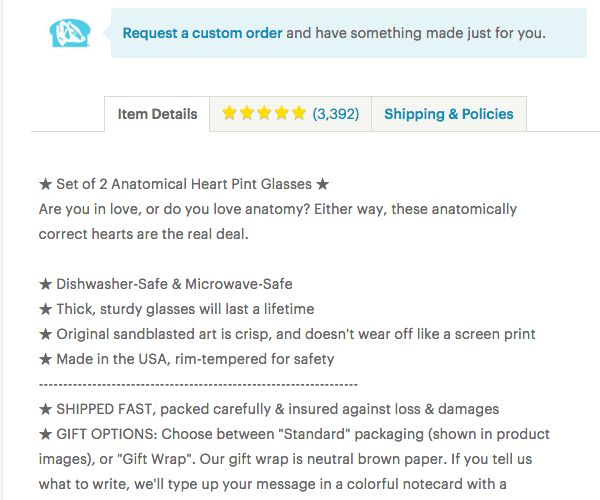 They take a rather utilitarian approach to shopping, and for them a Valentine’s Day gift is another must-make purchase on the list. To convert these categories of women, highlight items they can get at a discount. Research indicates that women normally want to know it all when it comes to product characteristics. So, a detailed, emotionally-charged description is recommended. At the same time, it’s advised to stay on the point, because excessive information could cause unnecessary stress to those who feel like they need to read through every description of every product. For many women, shopping is an experience to dive in. 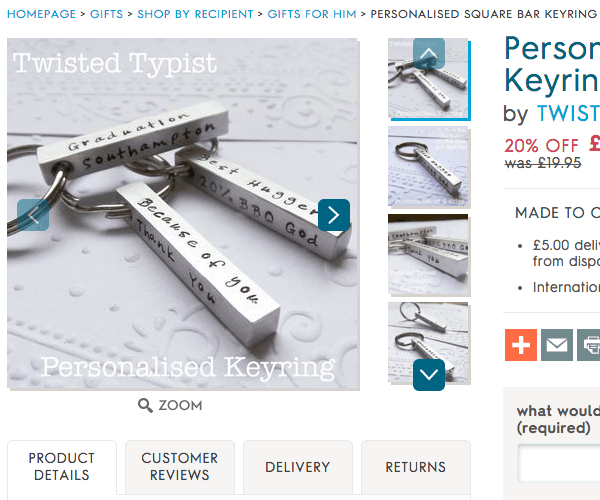 They are ready to invest the time and effort to get their hubby something really special and unique. Hence, if you store provides personalized merchandise, you may want to give these items some exposure in your “For Him” catalog. *If you are looking for a great do-it-yourself product designer for Magento 2, try our Custom Product Designer extension. According to studies, women are more likely to seek help at checkout and to ask questions about a product. Having a live chat they can use, a phone number they can call or a simple “Ask a Question” button will help a lot. Because women tend to check out multiple websites before making a choice, and extra push in the form of abandoned cart email could help you catch a big portion of lost sales opportunities, if not all of them. 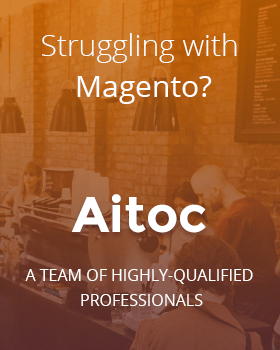 *If you haven’t got an abandoned cart solution, we invite you to try our Abandoned Cart Emails Pro Magento 2 extension. 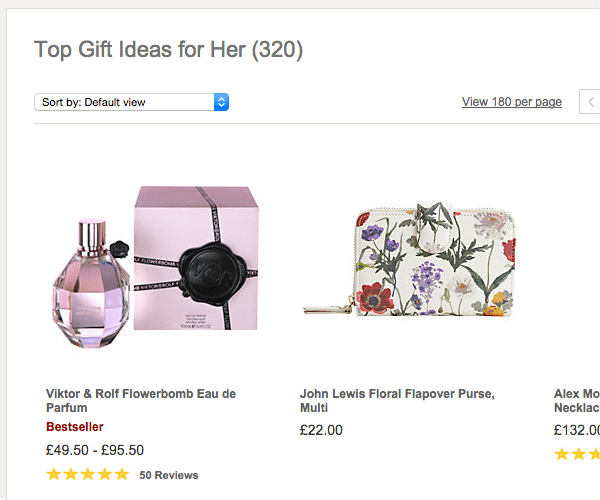 Now, what about the “For Her” category in your store? There are certain tweaks you can introduce to it to make it more helpful for the customers in your male target group. As it has been said above, most men want to stop worrying about the Valentine’s Day gift as quickly as possible. So, while some may invest the time it takes to get something special for their loved ones, many would appreciate the opportunity of simply buying a gift card. 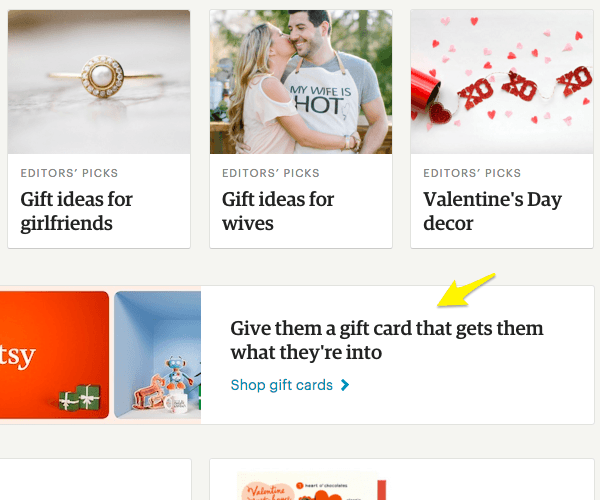 For instance, not only does Etsy do a great job splitting their Valentine’s Day category into “Gift ideas for wife”, “Gift Ideas for girlfriends”, and other helpful segments, but also allows men-shoppers to purchase a gift card, if they wish. 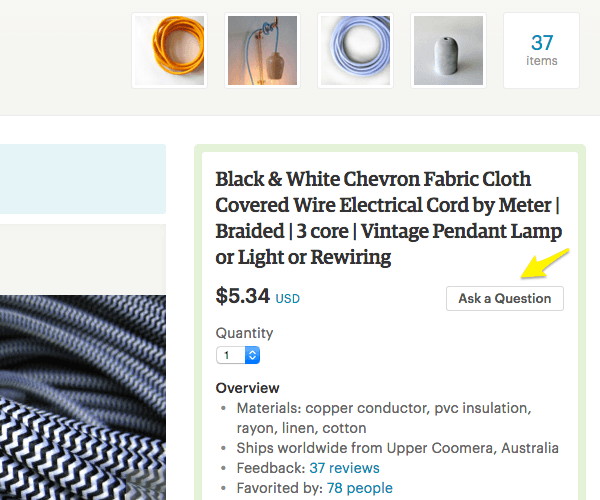 Customer reviews are a signal that a product is good, acclaimed, guaranteed to work. Of course, convenient navigation is something shoppers of both genders appreciate, but it has greater importance for men. Also, be thoughtful when arranging navigation options. During holidays, such filters as Delivery Options and Price are more needed than Brands. It best to mention available payment methods early on (at least in the cart) as well as specify delivery conditions in a clear manner. 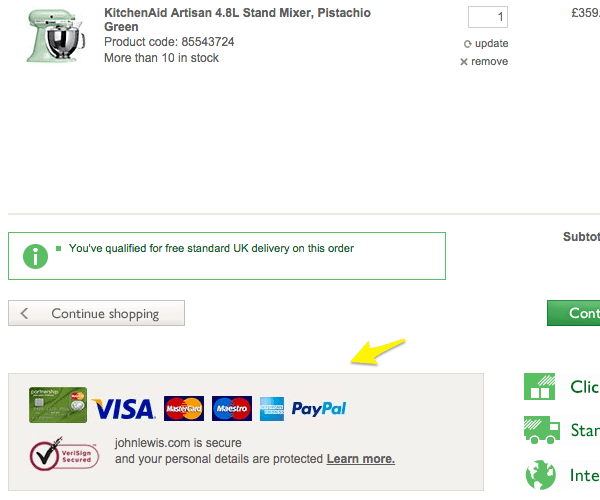 Some men could be motivated to buy from you just because they can see their preferred payment method on your website. 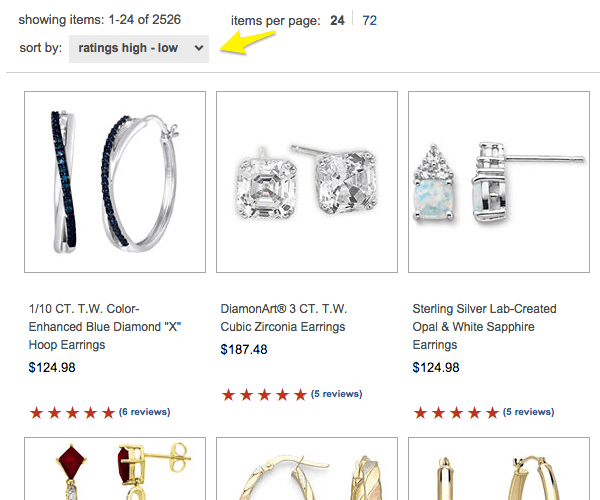 Most likely, you are going to have similar arrangement of products on your “For Her” and “For Him” category pages. 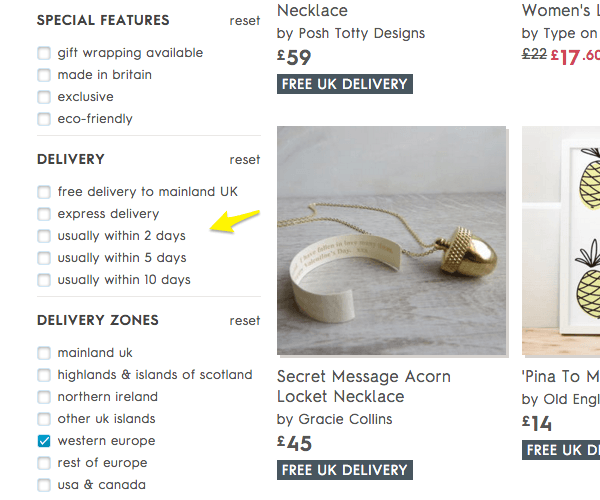 At the same time, you can easily do some minor tweaks such as move discounted items a bit higher or allow your shoppers to browse products by delivery options. After all, the more target your approach is (if it takes gender differences into account), the more sale this Valentine’s Day is likely to bring you. Good luck this year!